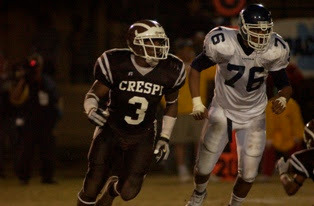 - Named CIF Division X Defensive Player of the Year after a senior year in which he recorded 72 tackles and 12 sacks. Battled a sore shoulder for most of the season. Also named LA Daily News Defensive Player of the Year. - Played defensive end in HS but will almost certainly switch to linebacker at Cal. There are suggestions he will fit in a middle backer. - An opposing coach said of Holt, "He's a Division 1 athlete whether he's playing outside backer, defensive end or any other position. He's just a premium player." - Potential. If not for a truly awful hip injury that wiped out his senior season, Mullins might have been the highest rated LB in California. Teamed with Ohio State's Mark Johnson in high school to form the state's leading LB corps, but it was Mullins who got most of the attention. - Recorded a mind-boggling 165 tackles in his junior season. - Claims to be almost 100% rehabbed from his injury, which involved damaged cartilage deep in his hip socket. - Another outstanding student, he carries a 3.4 GPA taking AP courses and plans to study architecture. Dad is a LA County sheriff, and according to a 2005 LA Times feature on Mullins "doesn't take anything but A's and B's" from his son in school. - You already know the family: Brother Desmond was an important leader on the 2006 team. 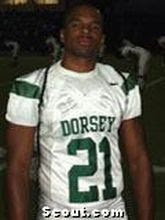 - A strange recruiting saga saw him bounce back and forth between Minnesota and Cal. 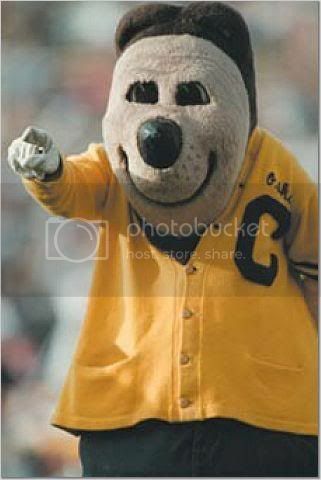 Once Devin's academics passed Cal muster, he landed with the Bears. 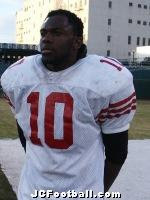 - 2nd team Juco All-American at CCSF; led the team in tackles and helped CCSF to the state final where they lost to El Camino. - Projects at middle backer, just like his big brother. We'll see if he can cover sideline to sideline like him, too. A great get who adds immediate help at LB. - Excelled at DE, but LB coach Kenwick Thompson sees him playing SLB at Cal. Blinn limited opponents to 120 yards of offense per game. 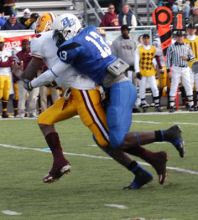 - Recorded five sacks in a single game against #2 JC Pearl River. - At Osceola High School in Seminole, FL Cook was an All-State selection as a senior. - Runs a 4.5 forty. Let us repeat - he runs a 4.5 forty. Matt Felder just got some competition. Damn, 'mexcited for Cook to come in and contribute immediately to our pass rush (which seemed to be lacking last season, though we did get a lot of INTs). I hope he turns into a Shawne Merriman or Lawerence Taylor type pass rushing LB. The rich get richer. Our LB core is becoming a machine. Now, with Thompson, it gets even better and now we're going to have a chance down in Texas.